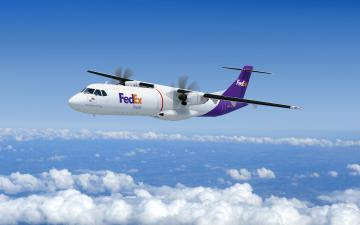 Great news for the aircraft manufacturer ATR as the world’s largest express transportation company FedEx have signed a major contract for the purchase of 30 ATR 72-600s aeroplanes as well as an option for 20 further aircraft. 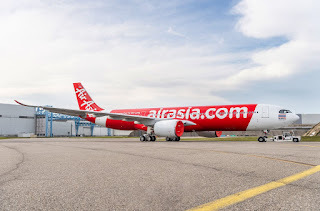 These aircraft will be the first new ATRs to be directly delivered directly from the factory in a freighter configuration and further demonstrates the versatility of the popular propeller-driven aircraft. The new aircraft version has been designated as the ATR 72-600F and features a brand new windowless fuselage and is equipped with a forward Large Cargo Door and a rear upper hinged cargo door. According to ATR, the deliveries of the 72-600F's to FedEx Express will begin during 2020. These new ATRs are also the first ATR 72-600s that will operate in a cargo configuration, as well as being the first ones equipped with a large cargo door directly from the factory. The ATR 72-600F features a class E main cabin for cargo operations, and will support both bulk cargo and Unit Load Device (ULD) configurations. The ATR 72-600F has a bulk capacity of 74.6 m3, and when in ULD mode, can accommodate up to seven LD3 containers, or five 88” x 108”, or nine 88” x 62” pallets. The aircraft is also equipped with new reinforced floor panels. ATR’s Chief Executive Officer Christian Scherer declared: “We congratulate FedEx Express for their long-standing success and for their long-term commercial views for the new ATR 72-600F. Their selection of this new aircraft is the result of a deep technical and economic analysis. ATRs in cargo configuration deliver an outstanding service, both serving small communities and feeding larger freighters. The ATR 72-600F is the only new large regional aircraft available on the market for freighter operations. We are convinced that, with its use by FedEx Express, it will become the new benchmark for regional air cargo operations”.